Remember her? I posted a funny video of the singer having her microphone backwards, lip syncing a song a couple of months back. 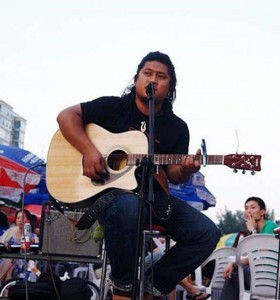 It turned out, this singer named Fang Ziyuan was later charged for lip synching by the authority which makes it “the first lip synching case in China”. PaperDoll is playing in Shanghai! Who is PaperDoll? From New York City, PaperDoll’s high energy live shows – featuring Lee’s uninhibited front woman style – have secured them a cult following in the dance rock scene. They’ve been featured on MTV, The Today Show, Maxim Radio, and Blender Magazine. 2010 sees the debut of their album Ballad Nerd Pop and brings the band to China on their Global Citizens Tour. Sister, your microphone is backwards! October 31 2009, mainland singer Chen Lin (陈琳) jumped to her death from Dongba Olympic Garden building 701 9th floor (in Beijing). She was 39. Her current husband Zhang Chaofeng (张超峰) when contacted by the reporter said “I feel terrible, even have difficulty breathing”.